I have one ear, but cannot hear. I have golden hair but no head. What am I? 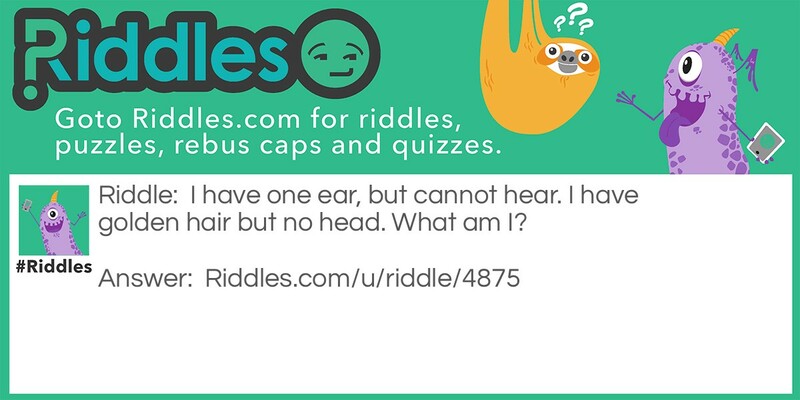 Om nom Riddle Meme with riddle and answer page link.